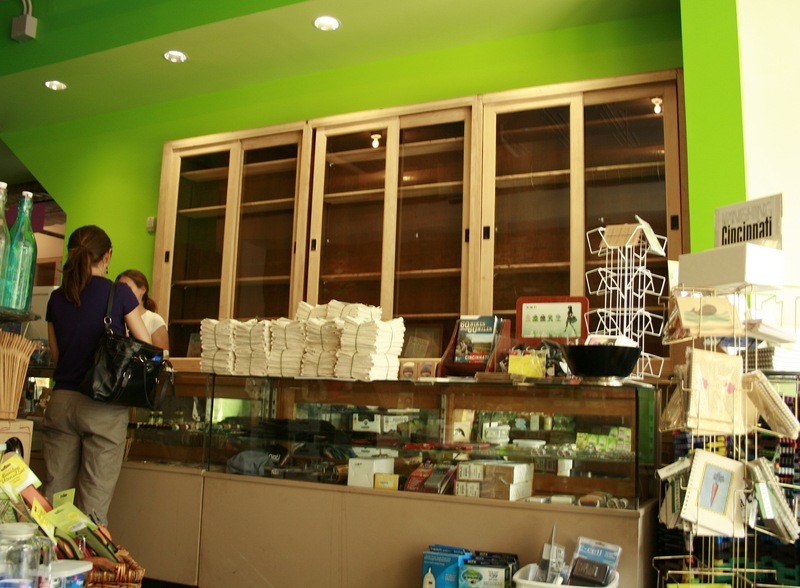 Park+Vine, Cincinnati’s first green general store has moved from its namesake location to 1202 Main Street in historic Over-the-Rhine. After more than three years of operation at the corner of Central Parkway and Vine Street, owner and proprietor Dan Korman decided it was time for a change. The 2,760 square-foot location previously occupied by Kaldi’s coffeeshop and bookstore will also have expanded hours and employees. Korman has added six new employees to his five person staff, and has increased the store’s hours of operation by 37 percent over the course of the week. Korman also says that sales per-hour at the new location are slightly higher than its previous location in the first three weeks even before the office opening of the store’s drink bar. Beyond the business opportunities, the new Main Street location also offers an opportunity to more successfully integrate with the Over-the-Rhine community. The new location has been open now for several weeks, but the store is celebrating with a Grand Reopening Party this Friday, October 29, from 6pm to 10pm, to coincide with many other neighborhood events kicking off the Halloween weekend. Korman says that the celebration includes food from local vegan-friendly spots, drinks from Market Wines, music by Josh Eagle and Liz Bowater, and guest baristas demonstrating Park+Vine’s Hario coffee drip machine. Park+Vine artist, Angie Unger, will also unveil her paintings and chandeliers using re-purposed materials from Zero-Landfill Cincinnati Project. Nearby, Share Some Sugar will be hosting a Halloween Costume Swap, and MOTR will throw an after-party. Five percent of every purchase at the Grand Reopening Party will be donated to ArtWorks.